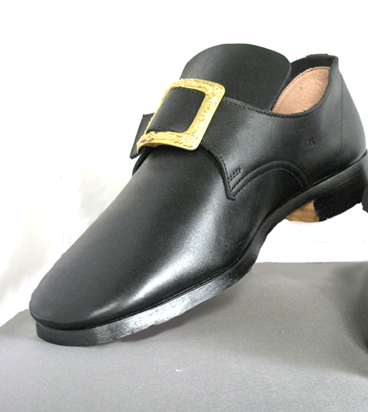 1758 or Ligonier is a Colonial Military or Civilian straight last shoe. 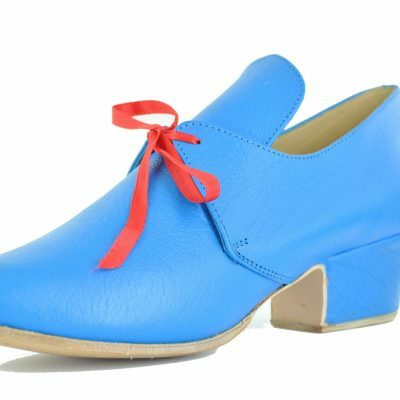 It has a short tongue, rounded toe and 1″ heel. In 1757-58 a British army was on its way to attack the French stronghold of Fort Duquesne; later known as Pittsburgh, Pennsylvania. Delayed by the weather, they established winter quarters at Fort Ligonier in what became the state of Pennsylvania. A neighboring creek was used as a refuse dump and a flash flood in January or February, 1758 deposited a load of clay that sealed the contents of the dump for two hundred years. In 1958 the dump was opened and, among other things, a great number of shoes and shoe parts were discovered. Units of that British army had recently been stationed in Bermuda, Ireland, Britain, Philadelphia and Charleston. 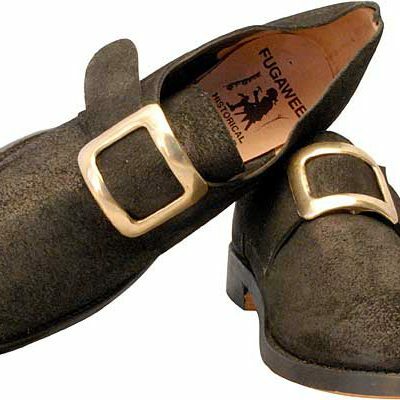 Their shoes had been made in all of those places, reflecting the supply system of the British Army at the time. 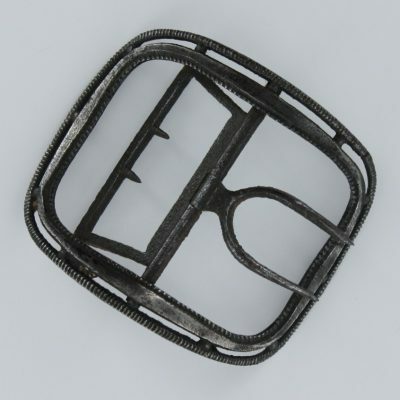 The discarded shoes showed fourteen toe styles, an equal number of tongue styles and latchets (straps) from 3/4 inch to 3 inches in width. There were no boxy square toes. 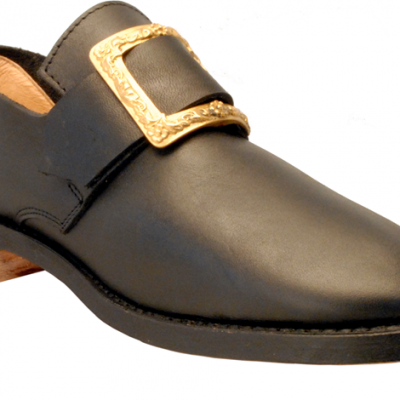 We chose the features that dominated; round toe, short tongue and a latchet of 1 1/4″. 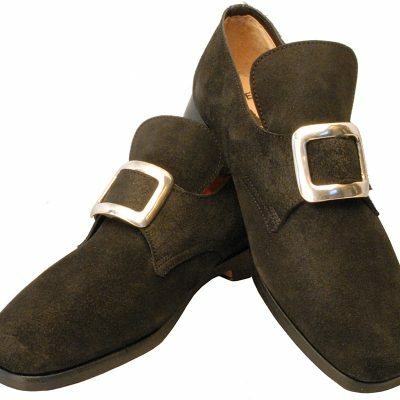 If you are looking for what would have been an average shoe style in any of the colonies between 1740 and 1815 this is as close as you will get. STRAIGHT LAST, black smooth full grain leather, Buckles not included, but our buckles will fit this 1 1/4″latchets. 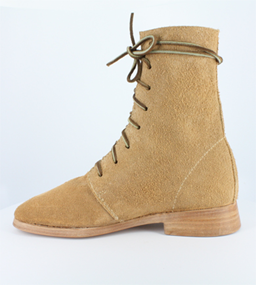 The Natural Half Boot, NHB, is a left/right boot. 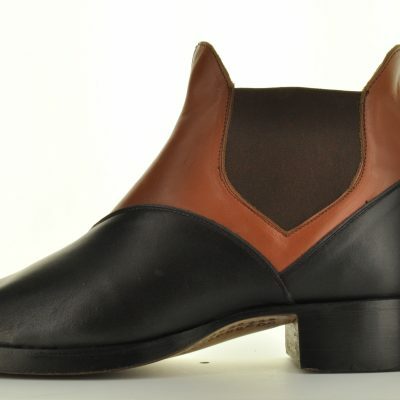 4 ” above the ankle, with 7 lace holes, it is an all leather, natural color, rough-out leather half boot. Widths a D and EE, sizes full and half 7 to 15. Good for Colonial and later times. 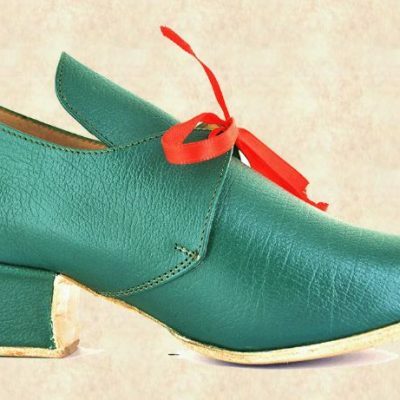 Barbara is the women’s colonial common shoe, with a short tongue, low heel made in full grain leather. 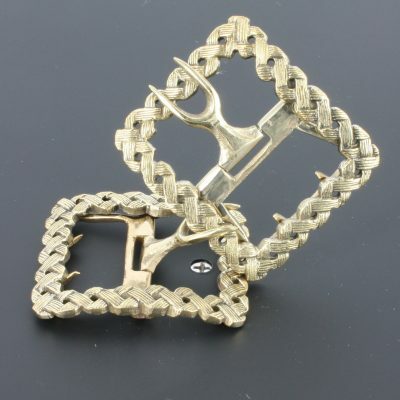 This can be a buckle shoe or the latchets can be made for ties. 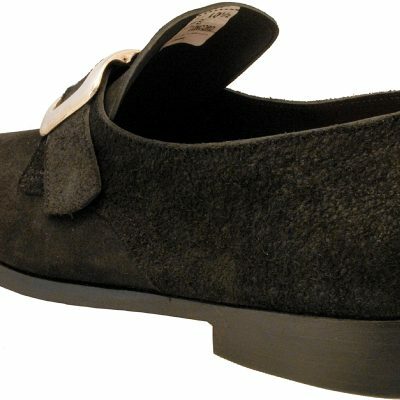 It is in black- smooth leather. Phone orders: 800-605-8280 between 9 AM and 5 PM Eastern time. 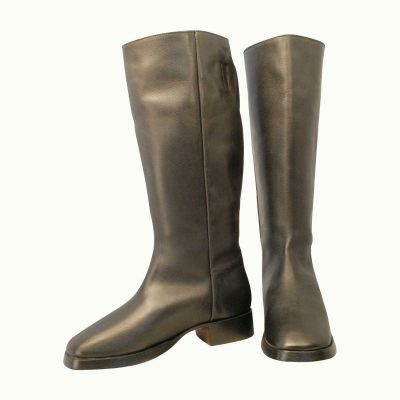 The Stovepipe is close to all around or common boot. It comes high on the leg, almost to the knee. The leg is wider so the trousers can be tucked in them. 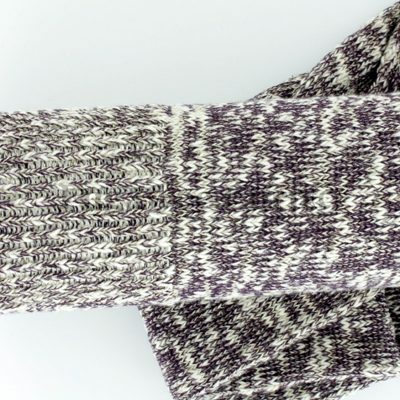 It is a two piece pattern with 1 1/4″ stacked heel. It has inside pull tabs to make it easier to pull on.